Ensure you’re protecting your face on sunny days with this non greasy, anti-aging facial sun cream. Remember to apply whether you’re lounging all day on a beach or just out for a swift walk, it’s always in your best interest to protect yourself from the UVA and UVB rays properly. This cream contains anti-aging extracts of argan oil, coconut, carrot seed and flax seed oils, these ingredients assist with keeping skin firm, nourished and moisturised.Free from oxybenzone. Aqua (water), pongamia glabra seed oil, dicaprylyl ether, zinc oxide, polyglyceryl-3 polyricinoleate, caprylic/capric triglyceride, glycerin, alcohol*, olea europaea fruit oil, titanium dioxide, oryza sativa bran oil, cocos nucifera oil*, simmondsia chinensis oil*, argania spinosa kernel oil*, linum usitatissimum oil*, hydrated silica, magnesium stearate, magnesium sulphate eptahydrate, pongamol, oryzanol, alumina, stearic acid, tocopherol, sodium hyaluronate, helianthus annuus* seed oil, daucus carota root extract*, ascorbic acid, bisabolol, polyhydroxystearic acid, parfum**, benzyl salicylate, limonene, linalool. *from organic farming. 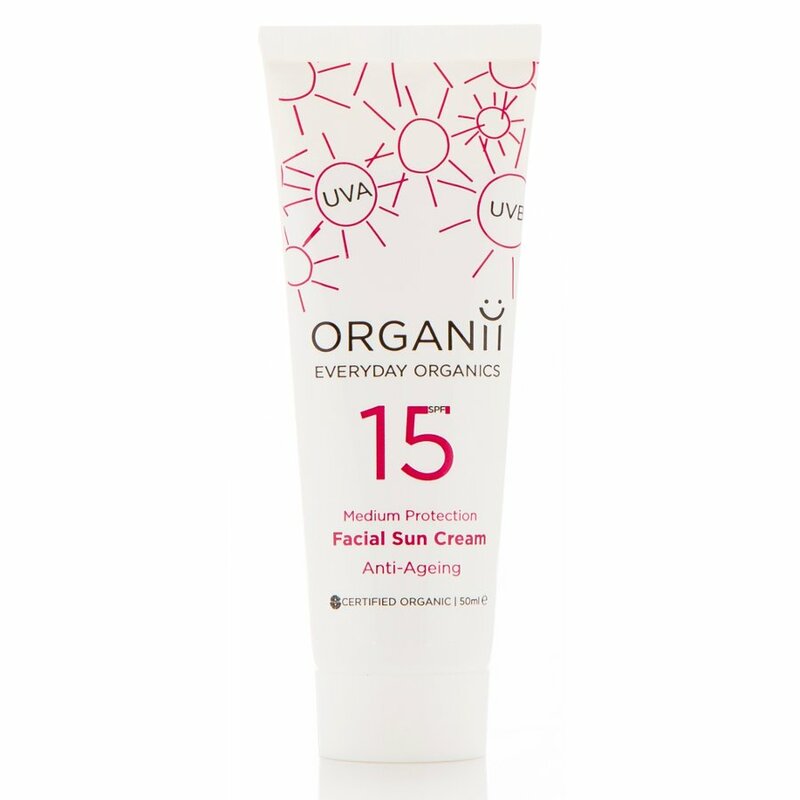 There are currently no questions to display about Organii SPF15 Anti Ageing Facial Sun Cream - 50ml.